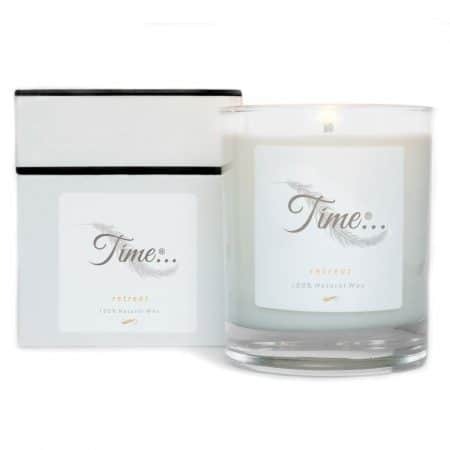 Infuse any room with this delightful gift set featuring one of Time Organics bestselling candles, Retreat. The two new scents perfectly complement the existing candle range. A little box of time… is the ultimate gift idea for any occasion. Trim the wick to approximately 5mm to avoid an enlarged flame and to maximise the burn time. Place in a central part of the room for the perfume to evenly distribute throughout the space. Additionally, keep the candle burning for a maximum of four hours and enjoy the full aromas of the fragrances. Amazing gift set. I bought this set for my Mam for Mother’s Day and she was over the moon with it. She loves all of the scents included but retreat is her favourite. This product really feels high end and luxurious, looks a lot more expensive than it is. The perfect special gift for Christmas. For all those blokes out there thinking of something to buy that is going to be really appreciated…here it is! I am delighted with this gift set. It is beautifully presented and is of a premium quality. The perfect gift for my mother in law.